Wootric, a market leader in enterprise feedback management, can help you understand the "why" behind NPS, CSAT, employee engagement data and review site scores. Bring CX data and qualitative feedback into Wootric CXInsight™ from any source. 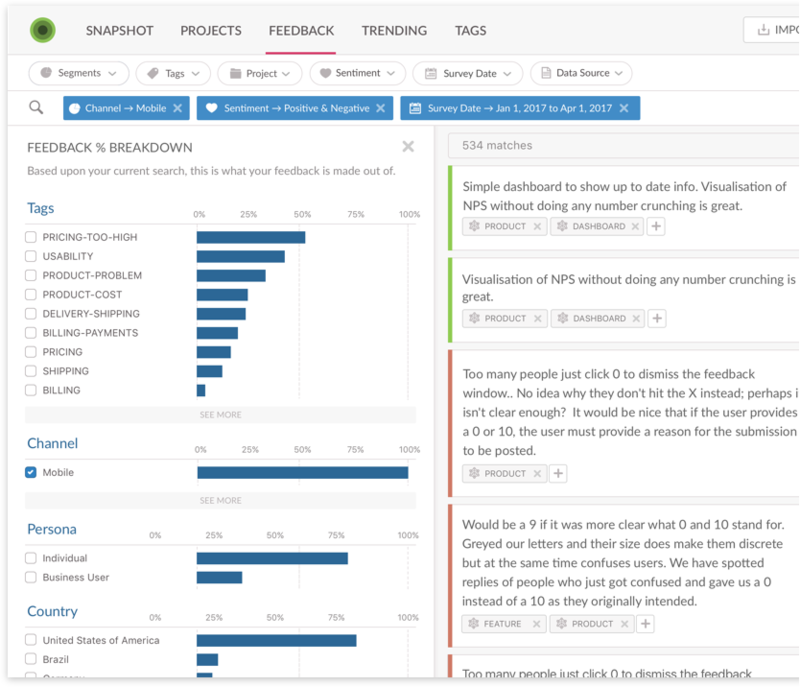 Our easy, elegant dashboard is designed for deep insight and action.